Traditionally followed from north to south, the Annandale Way follows the watercourse that gives the valley its name, to the Solway Firth, through Scotland’s border country. For purists who want to savour the full distance of the River Annan, there is an extra loop at the northern end of the route, so at the very beginning for those starting at Moffat, which takes in the Devil’s Beeftub and the source of the Annan. The trail ends at Newbiebarns, three miles from Annan, on the northern shore of the Solway Firth, and is 90km (56 miles) long. Most walkers take between four and five days to complete the way. This guidebook has hints for those new to multi-day routes and sets the scene for the area, with brief descriptions of its industries and agricultural history. Annandale is renowned for its connections to Robert the Bruce, who secured independence for Scotland from England and victory at the Battle of Bannockburn in 1314. The area was also the setting for protracted clan battles between the Maxwells and Johnstones in the 16th century. The Rucksack Readers guide also has information on flora and fauna likely to be encountered en route, including the red squirrel, which has a stronghold in Annandale. The trail starts in the centre of Moffat, at the Colvin Fountain, which is topped by a statue of a ram. The optional Devil’s Beeftub loop is a northern addition, allowing views of the intriguingly named large geological hollow and a visit to the source of the Annan. South of Moffat, the trail coincides briefly with the Southern Upland Way. 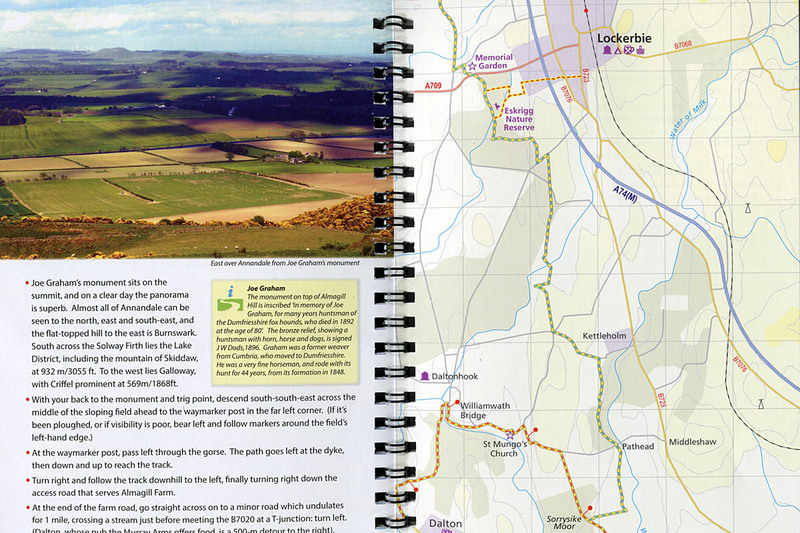 The route descriptions are detailed, allowing the walker to follow turn-by-turn instructions, and are accompanied by copious photographs, mostly by Lynne Kirton, and clear maps at a scale of 1:44,000, a number you won’t find on your compass romer but presumably chosen to fit the book’s format, which is slightly larger than A5 and ringbound. There are descriptions for the two alternatives where the route splits, with options to follow the way via Lochmaben or Lockerbie, and there are also brief extra route notes for anyone wanting to follow the Annandale Way south to north. 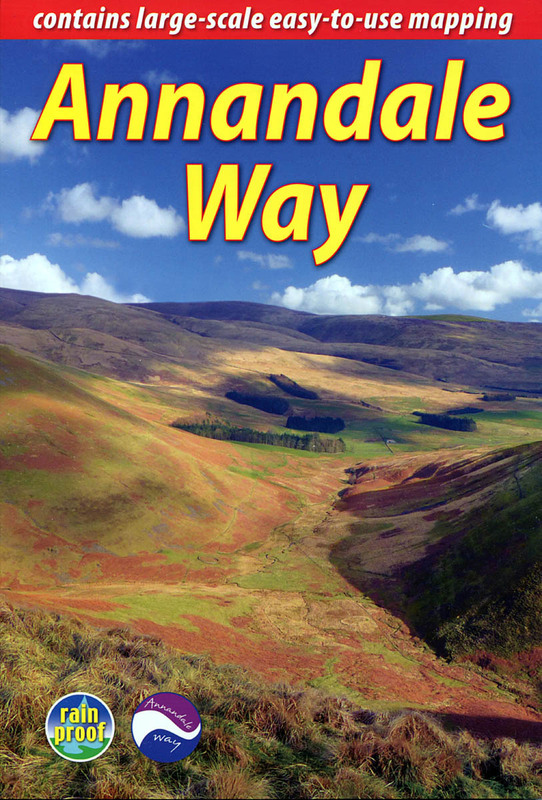 The Annandale Way would make an ideal first route for a novice long-distance, multi-day walker. The countryside and terrain are not too taxing but are varied enough to sustain interest. The Annan isn’t a particularly long river, and there’s satisfaction to be had in following its full length from source to sea. Turnbull and Megarry’s guidebook is comprehensive and easy to use, with its ringbound format making it convenient for on-the-route reference and its size and use of rainproof paper helpful for slotting into the walker’s rucksack for guidance along the way.